Earth-observation satellites in general, with their ability to monitor large geographical areas repeatedly at relatively low cost, can help in overcoming the difficulties of keeping inaccessible regions of rain forest under constant supervision. Remote-sensing information's derived from optical sensors and radar sensors (multisensorics) are best suited to monitor forest canopy and land surfaces in the tropics. 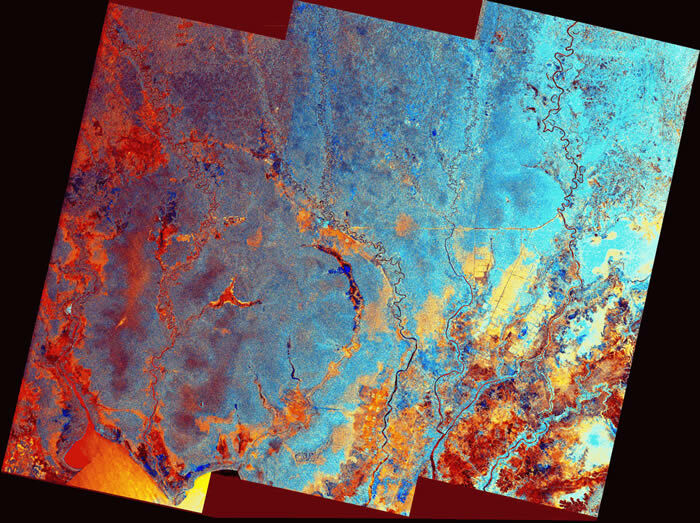 Optical and Synthetic Aperture Radar (SAR) images are used synergistically for the classification, identification and mapping of tropical forest. Optical sensors as e.g. LANDSAT and SPOT are partly limited for a constant survey because of the almost permanent cloud cover in the tropics. SAR instrumentation's of the sort carried by ERS-1, ERS-2, RADARSAT, JERS, PulSAR and ALOS are ideal for such regions due to its unique ability to operate unhindered day and night and in all weather conditions. For above-ground biomass estimations and REDD+ MRV LiDAR technology is very supportive in tropical forest. 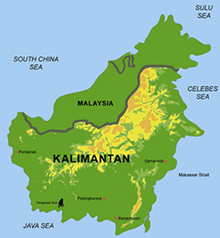 Central Kalimantan covers an area of 153,564 qkm which is 28% of the total area of Kalimantan. The southern part of the province consists of lowlands and wetlands mostly peatland, constituting a total of 36,716 qkm or 24% of the total extent of the province. They comprise 812 qkm of coastal plains, 12392 qkm of alluvial plains (including floodplains), 1,027 qkm of tidal swamps, and 22,485 qkm of peat swamps (RePPProT, 1885; with some rectification). The middle and northern belts of the land vary from low-altitude uplands to rolling hills with a height of up to 2,500 m, the Schwaner and Muller Mountain at the northern border. According to the 1995 statistics (Biro Pusat Statistik, 1996), Central Kalimantan has a total population of 1,627,000 and a population density of 11 per qkm. Central Kalimantan is very little population compared to an average density of 101 per qkm for the total Indonesia. Tropical rain forests are nowadays a highly endangered ecosystem. 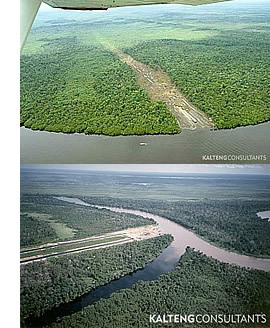 Fast economic as well as population growth have resulted in increasing rainforest conversion rates all over the world. Only recently has it been recognised that sustainable development and responsible exploitation of natural resources is mandatory to assure future prosperity. However, the role of rainforests for the global ecosystem and as a natural resource is still widely underestimated. Thus many people regard rainforests simply as a huge timber stock. 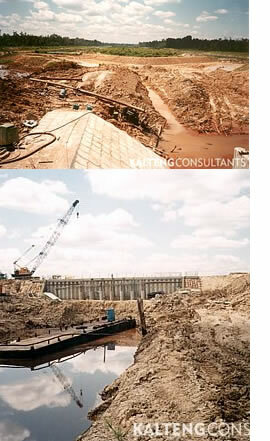 Others consider to remove the forest cover completely in order to establish plantations or agricultural fields. Both views are one-sided and wrong as an increasing number of scientific publications shows: Tropical rainforests are the natural habitat of more than 80% of all plant and animal species of the world, although rainforests cover only 7% of the land surface on earth.